10 Below Located in the lower level of the OXFORD hotel, 10 Below Restaurant and Lounge offers European inspired Northwest cuisine using the freshest local ingredients. 5 Fusion: The award-winning 5 Fusion and Sushi Bar offers a world-class dining experience featuring only the freshest seafood, hand-cut meats and sushi, while using many locally grown ingredients. 900 Wall offers great service, quality food and a friendly atmosphere. Private dining available. At Bad Wolf Bakery and Bistro our purpose and delight is in creating and serving seasonal meals, crafted coffees, distinguished cocktails and the freshest baked goods. Barrio draws from Mexican, Spanish and South American cuisines to create unique Latin-inspired dishes. Beach Hut Deli is located on Brooks Street Alley, The restaurant is open daily for breakfast sandwiches, amazing lunch salads and sandwiches, all in a fun and family friendly environment that features music, large screen TVs, and serving craft beers and wine. 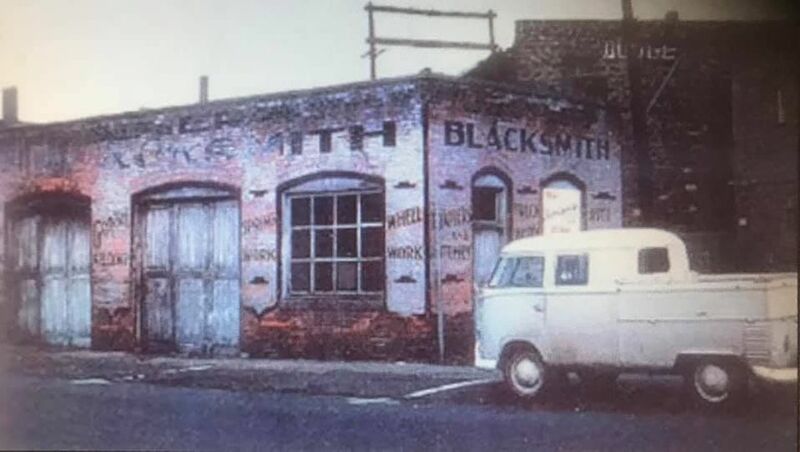 The Blacksmith Restaurant serves distinctive bold cuisine in the historic Pearson Blacksmith Shop in Downtown Bend (Greenwood Avenue at Harriman). The relaxed atmosphere and top notch service create the perfect environment for enjoying The Blacksmith’s comfort foods of the past with a contemporary spin. 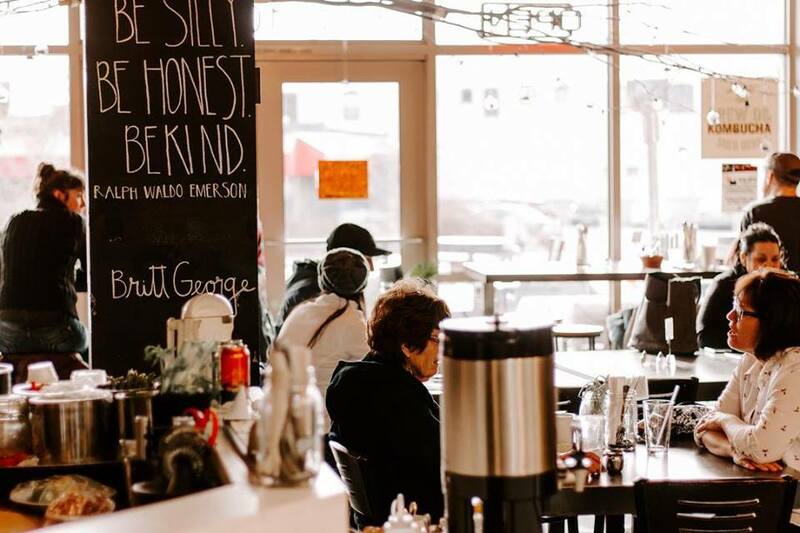 Bluebird Coffee Company is an energetic community market and coffeehouse offering inspired, high quality products in a friendly, creative and fun atmosphere. 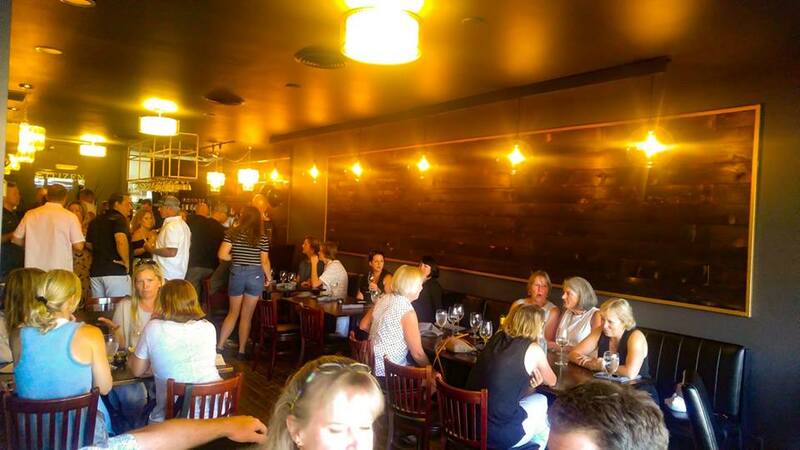 BOS TAURUS is a boutique, chef driven American steakhouse located in the heart of downtown Bend. Our open-air kitchen is built on Chef George's commitment to sourcing the highest quality beef from around the globe and centered around a custom cast-iron slab designed for a perfect sear. The finest in Northwest-raised steaks and fresh, seasonal seafood are found at BRICKHOUSE. Comfortable seating, a full bar, and the best outdoor street dining. Enjoy the outdoors from inside as we open up the fire doors to Minnesota Avenue - one of the most iconic streets in historical Bend. Brother Jon’s Alehouse offers great food and large portions for a great price that’s affordable for the whole family while rotating 16 tap handles. Local favorites include the the “Buffalo Style” Burger, the Best Fish and Chips in Bend, Buffalo Chicken Tenders, Alehouse Mac n’ Cheese and more. The Bunk+Brew Historic Lucas House is the newest and ONLY affordable destination for the adventure traveler in downtown Bend, Oregon. 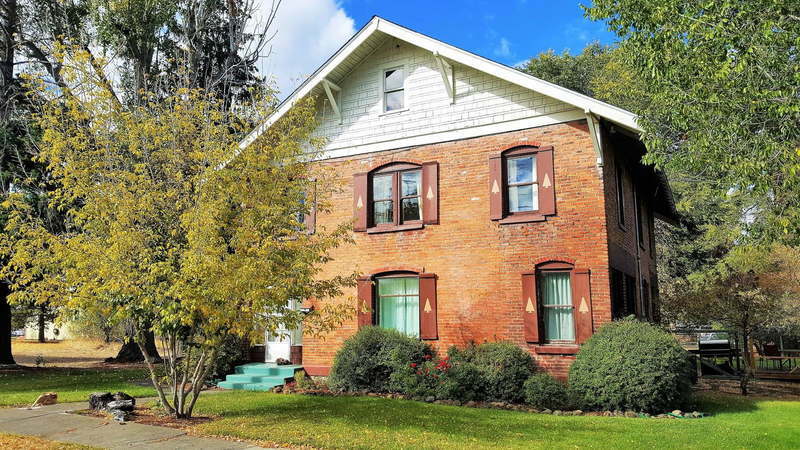 2.5 blocks from the Bend Ale Trail, the Lucas House (1910) is also Bend’s first and oldest brick building. Book a room (or bunk), grab a free check-in beer. Portuguese cuisine is notable for its bold use of herbs and spices. The ever-popular Portuguese sausage linguiça combines mild seasonings such as garlic, onions, salt, oregano and paprika. Manuel dos Santos, owner of Café Sintra in downtown Bend, named the restaurant after his hometown in Portugal, near Lisbon. Citizen Bar and Kitchen located in the heart of downtown Bend offers contemporary, International cuisine with a Pacific Northwest twist. Gather with friends and family in our cozy, sophisticated dining room to enjoy delicious one of a kind cocktails paired with farm to table seasonal menus. Drake is a classic neighborhood joint serving up creative & inspirational comfort food. Reinventing American classics & regional favorites with a modern, fresh flair. Great Harvest Bread's purpose and passion is to provide you and your family with the freshest and most flavorful baked goods you’ve ever tasted. Come in for a free slice of hot-out-of-the-oven bread or a taste of legendary sweets. Enjoy yourself and bring your children. We’re locally owned and community focused. Hola! Downtown is committed to providing the quality and service you have come to know us for, but with a little twist for Downtown Bend! Enjoy traditional Peruvian dishes, quenching mojitos and a friendly fun atmosphere. Like the elusive, western creature resembling a jack rabbit with deer antlers, The Jackalope Grill offers the equally hard-to-find combination of imaginative Northwest cuisine in Central Oregon's environment. Joolz Restaurant is where the Middle East meets the wild west. A Middle Eastern restaurant with Central Oregon influences, featuring meza Plates, flatbread pizza, wonderful mediterranean salads, kebabs and ribs, elk burgers, falafel and desserts. At Mantra Indian Kitchen and Tap Room you'll find baked vegan samosas and rice-and-curry boxes with masala chicken. From sambhar stew (a daily special) to authentic chai tea, the menu is guaranteed to stimulate Central Oregon taste buds. Healthy, locally sourced, creative meals and smoothies in Bend, Oregon. We can cater your next meeting or special event! Experience Thailand in Central Oregon at Noi Thai Cuisine. Authentic Thai flavors and elegant atmosphere offer an escape to a culture where food is art, and friends are family. A truly Thai experience in Bend. Pine Tavern has seventy years of history in Downtown Bend. We’ve been serving up memories, along with savory lunches and dinners, riverside ambiance, and a deep-rooted tradition of hospitality since our doors opened in 1936. Join us. Make a little history of your own. At Pizza Mondo you'll find award winning pizza at a Downtown Bend landmark. Planker Sandwiches serves a wide variety of hearty, artisan sandwiches, paninis, oversized breakfast sandwiches and big salads, as well soups, cookies and smoothies. We feature Stumptown coffee and espresso, old fashioned soda, beer and wine. Salud is a live foods café serving all raw and gluten free lunch items. We have collard wraps, salads, delicious juices, and live desserts! Kombucha on tap, and beer and fresh cocktails are also served. Call ahead for lunch pickup! Our entire menu is gluten free. Sora Sushi is the newest addition to Japanese cuisine in Downtown Bend. Come by and try handmade nori rolls, sashimi, yakisoba and more. Super Burrito is the place for Incredible Mexican food in Downtown Bend. Taj Palace gives you authentic Indian food in Downtown Bend. Toomie Thai Cuisine is the quality Thai food-local fave in Downtown Bend. Wild Rose is Northern Thai Cuisine. Traditionally a very rural cuisine, Northern Thai food is an experience for all five senses. We never frown on using your hands as utensils, just don’t expect chopsticks here! Fresh and crunchy vegetables are served with every sauce, dip, and paste. Zydeco is your spot for affordable, high-end cuisine.